1.Brandt T, Dieterich M. The dizzy patient: don't forget disorders of the central vestibular system[J]. Nature Reviews Neurology, 2017. 2.Yokota J I, Ishikawa K I, Hata M, et al. Electronystagmographical studies of a patient with spinocerebellar ataxia type 6 (SCA 6) mainly complaining of the positional vertigo[J]. Equilibrium Research, 2017, 76(3):162-173. 3.Elbadry M M, Samy H, Kabel A M, et al. Clinical criteria of positional vertical nystagmus in vestibular migraine.[J]. Acta oto-laryngologica, 2017:1. 6.Yabe I, Sasaki H, Takeichi N, et al. Positional vertigo and macroscopic downbeat positioning nystagmus in spinocerebellar ataxia type 6 (SCA6)[J]. Journal of Neurology, 2003, 250(4):440. 7.Inoue A, Ozeki H, Iwasaki S, et al. Two cases presented with positional vertigo due to lesions in the central nervous system[J]. Otology Japan, 2010, 20:86-90. 8.Jeon H W, Shim Y J, Park M K, et al. Central Apogeotropic Direction Changing Positional Nystagmus due to Fourth Ventricle Mass Mimicking Horizontal Canal Cupulolithiasis Benign Paroxysmal Positional Vertigo[J]. 2016, 15(3):84-88. 9. 刘金梅, 孙勍, 彭新, 等. 以位置性眩晕为主要症状的四脑室肿瘤 1 例 [J]. 武警医学, 2017, 28(1):75-76. 10. 田军茹. 发作性位置性眩晕: 良性与非良性的识别 [J]. 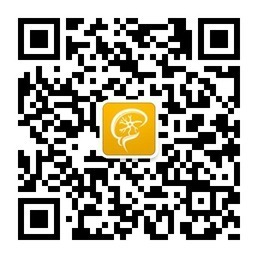 听力学及言语疾病杂志, 2013, 21(2):102-106. 11.Arai M, Terakawa I. Central paroxysmal positional vertigo.[J]. Neurology, 2005, 64(7):1284. 12.Michael, Brevern, Pierre, 等. 良性阵发性位置性眩晕诊断标准 [J]. 中国全科医学, 2017, 20(11):1275-1281.